Liner Rewinder Machine | KEW ENGG. & MFG. PVT. LTD.
Liner Rewinder Machine is used for any winding & unwinding application for guiding the web to reduce the wastages of the material & to get high production output with minimum man power. 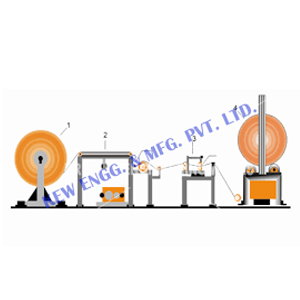 We are a leading manufacturer, exporter and supplier of Liner Rewinder Machine from last 25 years, India. Liner Rewinder Machine with heavy duty and high quality equipment. Completely fabricated from Heavy Duty Chanel Angle structure of Rewinder Stand and Let-Off Stand Complete with pneumatic break and Safety Chucks.